My parents were born and raised in other states. My Dad received a job teaching at KU just before my parents got married. He taught in the School of Engineering for over 40 years before retiring. My sister and I are first generation Kansans. Like most kids leaving high school, you look around to see if the grass is greener somewhere else. I stayed local and went to KU for my undergrad but did my internship with a school district in Atlanta, GA. This is where my Kansas story really begins. My year in the schools in Atlanta taught me that I was beyond fortunate growing up in school districts that are local and not spread out. I learned that the envrionment I took for granted in Kansas, was the environment I wanted to return to in order to start my own family. The years have passed, I got married to an out-of-stater, we had 4 kids, and Kansas leadership has changed. I never regretted coming home, but there have been many times in the past few years, we have honestly contemplated leaving. Each time, we come back to the knowledge that although the leadership has changed, the people haven’t. I am a proud Kansan and I will never give up. 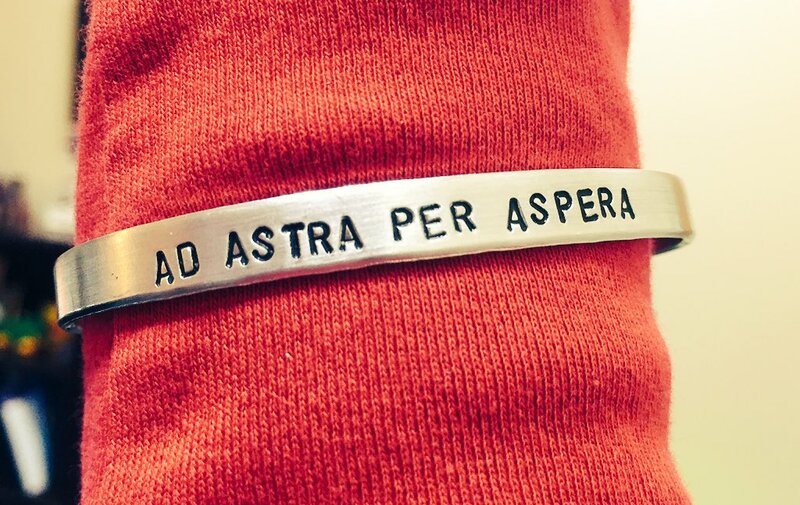 Ad Astra Per Aspera. Thank you, Jessica. Your story is proof that a deep love for Kansas doesn’t require a long history here. It’s a special place, and I’m proud to fight for it with you. I am a Kansan. I will admit that my twin and I were born in a hospital on the other side of the Missouri state line for reasons that were beyond my control at the time. It was not long before they let us go home to Kansas. We were, for twins, quite robust. Home was a house in Desoto that our father had built with his own two hands. We had a couple of Shetland ponies. One of them was a master at getting out of it’s pen and would come knock on the back door in the morning when it was ready for breakfast. My father was a civil engineer, and his parents had been Kansans. His mother is 99 and loves to tell stories about growing up in Kansas. She went to Kansas State University on a 4-H scholarship and lived in Clovia House, the 4-H sorority. She worked in the K-State book store and played the baritone saxophone in several bands in the area and on the radio n Manhattan. Her great-granddaughter, my oldest daughter plays the same instrument now. My daughter is allowed an opportunity that my grandmother always wished for, but was never given. Women were not allowed in marching bands back then. 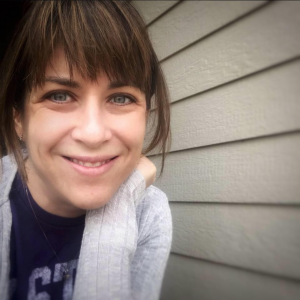 By the time I was in kindergarten we had moved to the town of Roeland Park, in to a house that had a backyard that had a little gate that passed through to the backyard of the house that my mother had grown up in, and where her mother still lived. My mother was a teacher. She had taught at the school where the children who lived next door to us went, who were now grown up. Their mother had been my maternal grandmother’s best friend for decades and still lived there. She was one of the many stops on my mother’s neighborhood breakfast tour every Saturday morning as a small child. It was much the same by the time that I lived there. It is perhaps for that and the very small school that I attended, that I always thought we lived in a small town. I knew everyone there, and my dad sat on the city council. It was not until much later that I realized we lived in a city. I went to Shawnee Mission North, where my parents had fallen in love decades before, and where my paternal grandmother had gone when it was Shawnee Mission High School, the only one. Everything south was farmland then. I made the mistake of trying out Seattle for a couple of my early adult years, and could not wait to get back. By the time I returned, my parents had settled in an actual small town called Eudora. A country doctor there, approaching retirement gave me a job as a receptionist. That changed my whole life. I worked for him while going to nursing school, got my RN, and have been working in health care in Douglas County Kansas ever since. My children have grown up in Eudora, Kansas, attending some of the best schools in the state. I met my husband in Manhattan, Kansas where he was teaching flight students. He had become a pilot at K-State, and grew up in Overland Park. He moved to Eudora and is still a pilot in Kansas. My twin is about to graduate from Kansas University and does conservation work there. My older sister is a teacher at Woodrow Wilson Elementary in Manhattan and mentors student teachers from K-State. We are nurses and pilots. We are students and teachers. We are conservationists and engineers. We are parents and children. We are advocates and activists. We are Kansans. We are proud. My grandma in this post (paternal grandmother) was the principal’s secretary at North, though I’m not quite sure of the years. Thanks for sharing your story, your love and your passion for this great state. We are taking her back. Thank you for taking the time to comment – and you are exactly right. Each state has a unique and beautiful story, and good people who deserve every opportunity! I tried to sign up for your blog but it does not go thru. Thanks. I too am part of your Kansas family…literally. My great grandmother, Fanny Ammeter was your husband’s great great grandmother. My grandmother, Ruby Ammeter Knaussman and your husband’s grandfather, Sherwin Ammeter were brother and sister. I’m so happy that my cousin, Karla connected me to your blog. It so eloquently expresses the love and pride for Kansas I want to tell my friends in Istanbul of, while also sharing my concern for the corrupt leadership in the state now Thank you for a beautifully written January 29th tribute. I look forward to reading more of your blogs. Amazing! Thank you for sharing this connection – the Internet makes a small world that much smaller! Wonderful inspiration to help us look and live AD ASTRA!